Karymsky is the most active volcano of Kamchatka's eastern volcanic zone and a perfect symmetrical stratovolcano. Ash eruptions from Karymski can come in the way of aircraft flight routes across the N Pacific. Karymsky, the most active volcano of Kamchatka's eastern volcanic zone in one of the world's volcanoes with persistent activity and has been erupting for at least about 500 years. Doninantly explosive, construction of lava domes, near constant activity. 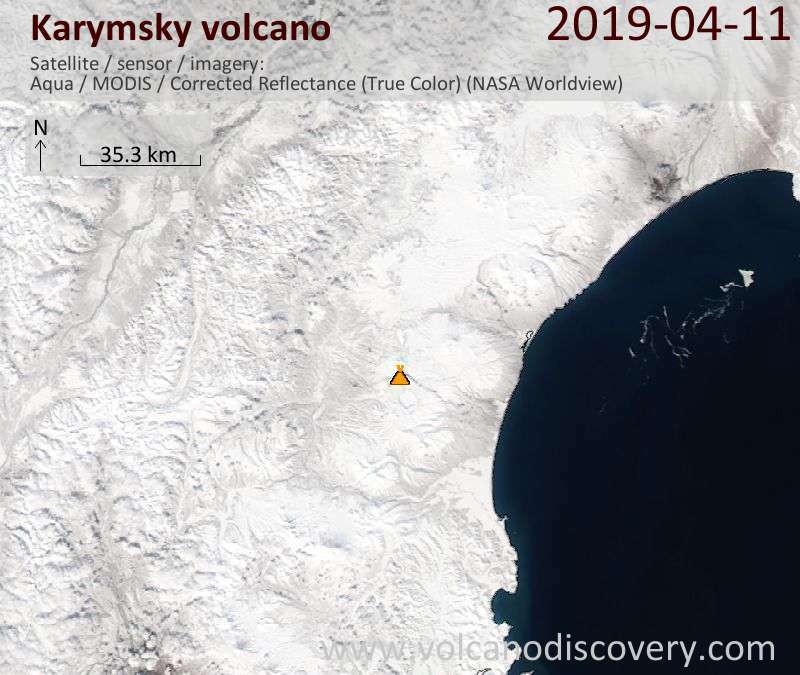 Karymsky Volcano Volcanic Ash Advisory: VA IS NOT IDENTIFIABLE IN SATELLITE IMAGERY.